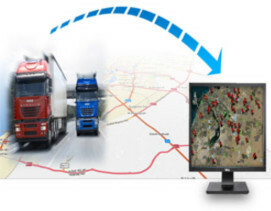 Our vehicles are installed with GPS tracking system to ensure the safety of vehicle, consignment and also will enable data like Latitude, Longitude, Speed Idle Time and running status of Vehicles to our application server. This also helps us for scheduled operating of vehicles always connecting to the branches enroute and reporting movements to ensure prompt delivery. Moreover we provide Login credential to corporate companies to know the location of the vehicle. Tracking Results of # Express International | Sorry! Something went wrong. Sorry! It seems to be that, the request you have submited/action you have performed could not be completed at this moment. This may be due to any of the following reasons. This is because the application remains idle for long time without any valid action. 1. Just go back Home and Continue browsing. 2. If you're seeing this frequently and you're owner of the website, Please contact the Administrator for further assistance.